Tonight is a momentous night. City politics worked as they should, and the incumbent City of Ottawa Mayor, Bob Chiarelli, was voted out of the position he was getting far too comfortable in. In an amazing twist, Larry O'Brien, the guy who was trailing behind Alex Munter in the polls, ended up winning with an astounding 47% of the vote. Munter got 36%, and Chiarelli got a wonderfully low 15%. The other amazing factor is that these numbers are really representative of the population. Whereas the 2003 election only got 32% voter turnout, tonight's voter turnout was about 55%. Wow! That has to be the highest voter turnout I have ever seen! Well, I'm quite excited that my guy got in. In a sub-million city which employs over 25,000 employees, with an average salary of over $70,000 per year, I'm excited when he says he will run the city as a business. I want half of that staff gone. I also hope he manages to do something about the one billion dollar monstrosity that the light rail project has turned into. Efficiency is key. Also, Larry O'Brien looks like Darth Vader without his helmet. Time to take photography to the next level. I bought a digital SLR camera, the Rebel XT by Canon. My hopes are to reignite the spark that once existed when I was into film photography on my trusty old Praktica LLC. Only this time, I can know if I do something right or wrong instantly. The camera itself isn't Canon's top-of-the-line model, but most of what matters is similar enough or the same when compared to their professional offerings. I don't expect to be using this more than once or twice a week, so I do not need bullet-proof construction. Furthermore, I keep getting told that it is the lens that really matters. The lens that came with the unit is quite acceptable for initial adventures. The plan is to treat myself to a more expensive piece of glass a few months down the road. The immediate plan is to invest in an adaptor that will let me mount the old M42 lenses from the Praktica onto the Canon EF body. The lenses will force the camera into completely manual mode, but that's the point. 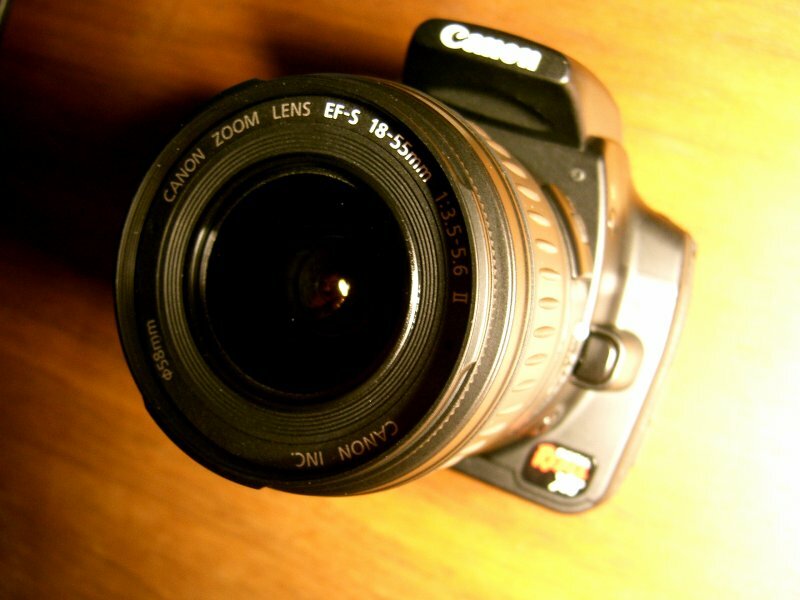 They are good lenses, and it will force me back to basics. I look forward to many years of quality captured frames of still life.